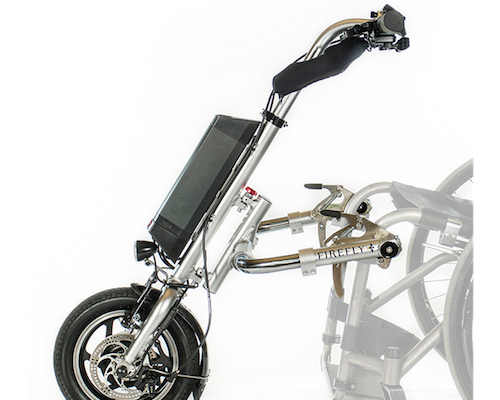 The Firefly electric handcycle attaches to your wheelchair in seconds. It includes seperate forward and reverse thumb throttles, 350W brushless electric motor with disc and V-brake, and a removable lightweight lithium battery. The frame comes apart without tools for transport and storage.